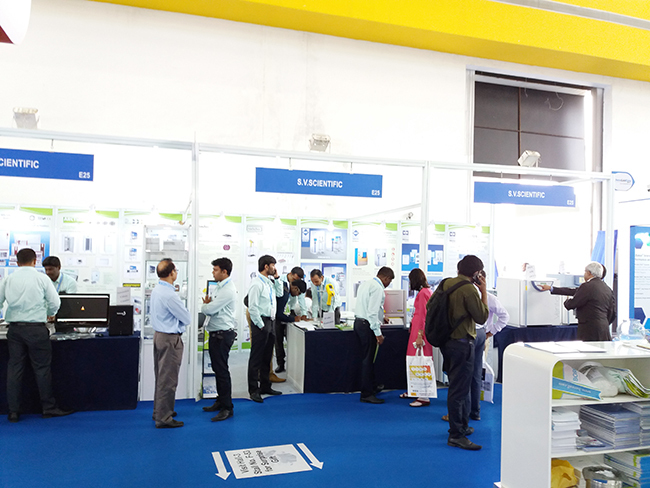 The trade fair centre HITEX Hyderabad hosted another India Lab Expo exhibition. Several trade fairs are organised in high-volume Indian market every year, but this one can be considered to be the most important one. The number of visitors was slightly disappointing last year. This year, the organisers discharged their reliabilities in a very active way and they succeeded to attract a record-breaking number of exhibitors and potential customers. Four exhibition halls contained stands of all the important companies in the branch. 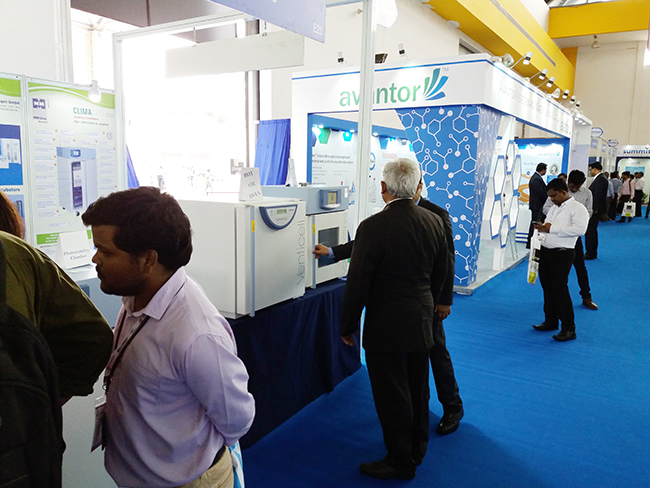 Our company was represented in the exhibition stand of the company S.V.Scientific, our exclusive partner for whole India in the field of heating technology and – as from the last year – our new partner in the field of steam sterilizers for laboratories. There were exhibited the devices Vacucell® EVO, Venticell® Comfort and 2x Climacell® EVO, one of them including light shelves and sensors, in the exhibition stand. Mainly the devices of the EVO line attracted significant attention and potential customers for discussions regarding possible co-operation. 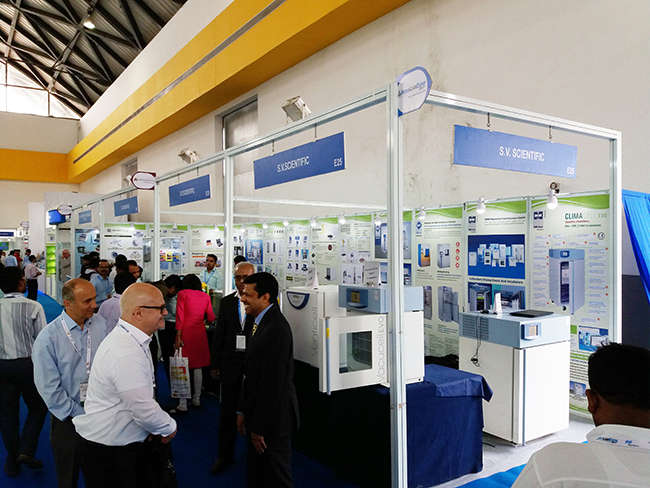 Even thanks to such events we succeed to enter the Indian market in the field of heating technology, mainly in the pharmaceutical segment, all of that regardless serious competition. It is exactly our EVO line that is presented as a premium product and it opens the way to the customers who want to differ in local markets and who are willing to buy premium quality without compromises.